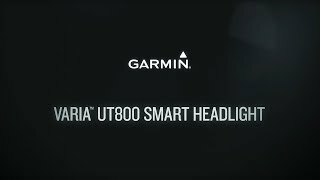 Introducing the Garmin Varia UT800 Front Light - Urban Edition, the smart headlight that shines brighter for longer. Perfect for commuting or on those woodland trails, this 800 lumens light can be seen from more than 1.5km away, so road users will definitely see you coming. Featuring versatile visibility, the Varia makes it easy to tailor your light output to your ambient light conditions surrounding you, automatically adjusting as you ride, so no fiddling around with buttons and you can prolong your battery life. 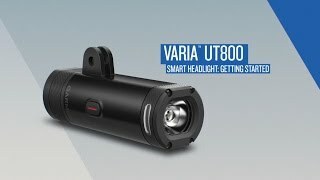 The smart capabilities of the Varia UT800 allow you to pair it to compatible Edge computers with light sensors. Once paired, Varia UT800 automatically adjusts its beam intensity based on speed and ride profile so you get more light when you’re riding faster, while conserving battery power at slower speeds. Plus, it only takes a simple touch of your Edge computer or a dedicated remote to turn your lights on or off, control brightness and more. The Urban edition includes a handlebar mount to ensure it says secure on your bike. Bought this along with a Garmin Varia Radar and the two have transformed my night riding. This light in Auto mode reacts to the time of day and what speed you are going. Really pleased with both lights I feel safer and see better when I am out at night and first thing in the morning.